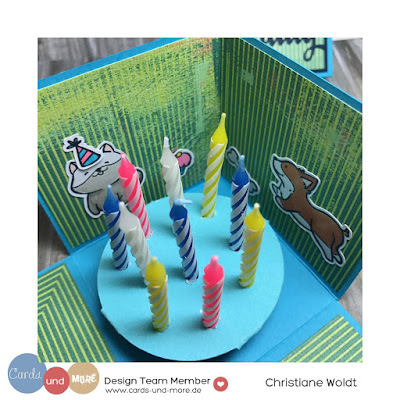 Today we celebrate the 10th birthday of Cards und More with a BIG Insta-Hop. 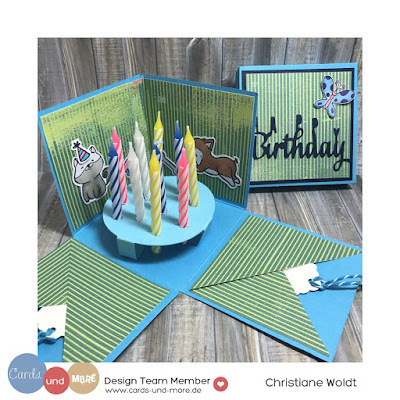 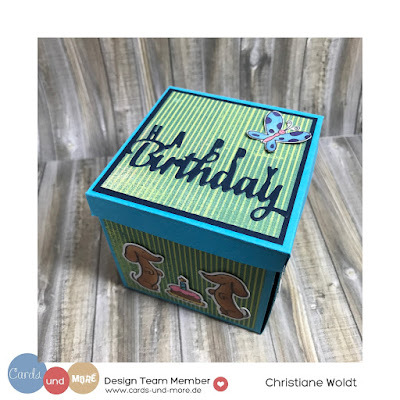 You will find amazing creations made by the Design Team and you can win amazing prizes just by hopping to all the DT members Instagram accounts plus special guest Maria from Krumspring stamps, comment the word "CELEBRATE" on ALL the posts (and maybe tag a friend) and, for a special chance to win, on the Cards und More Shop Blog! 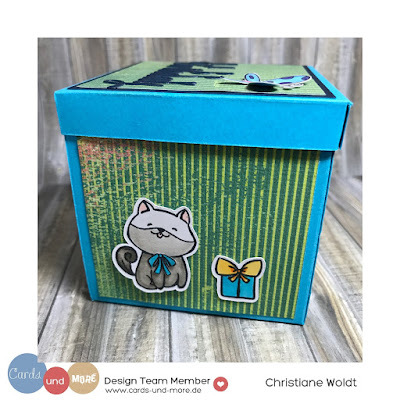 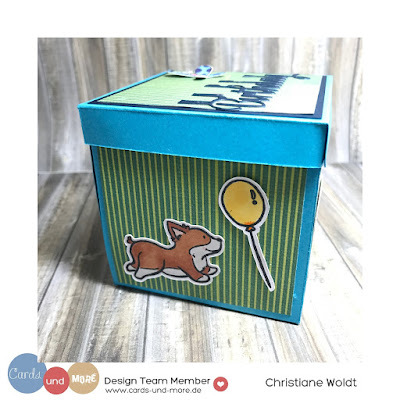 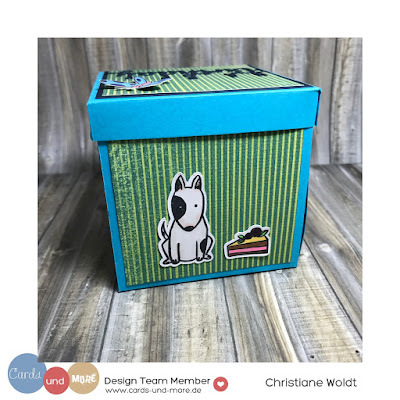 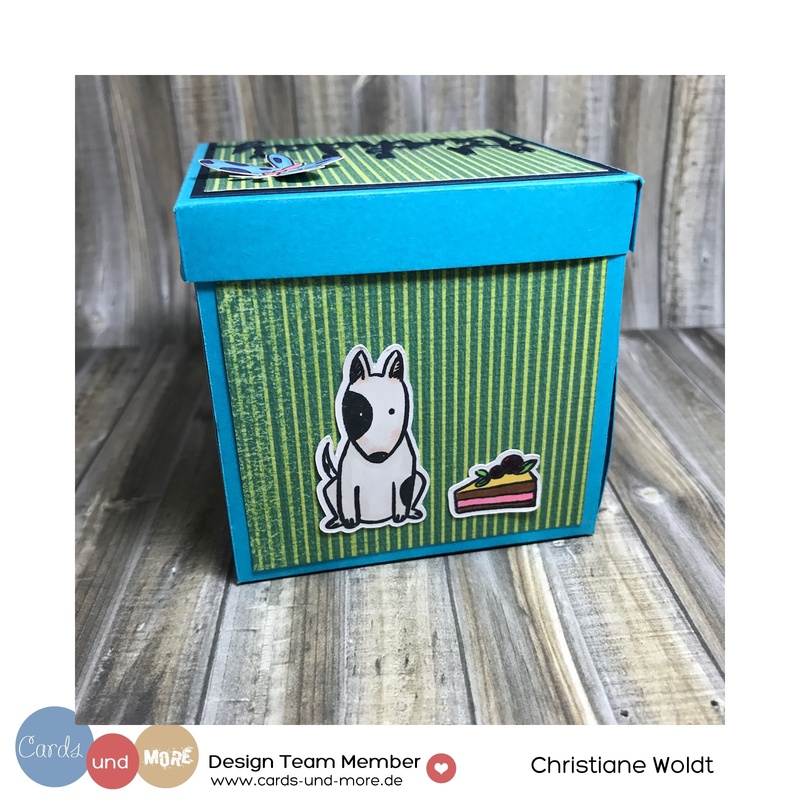 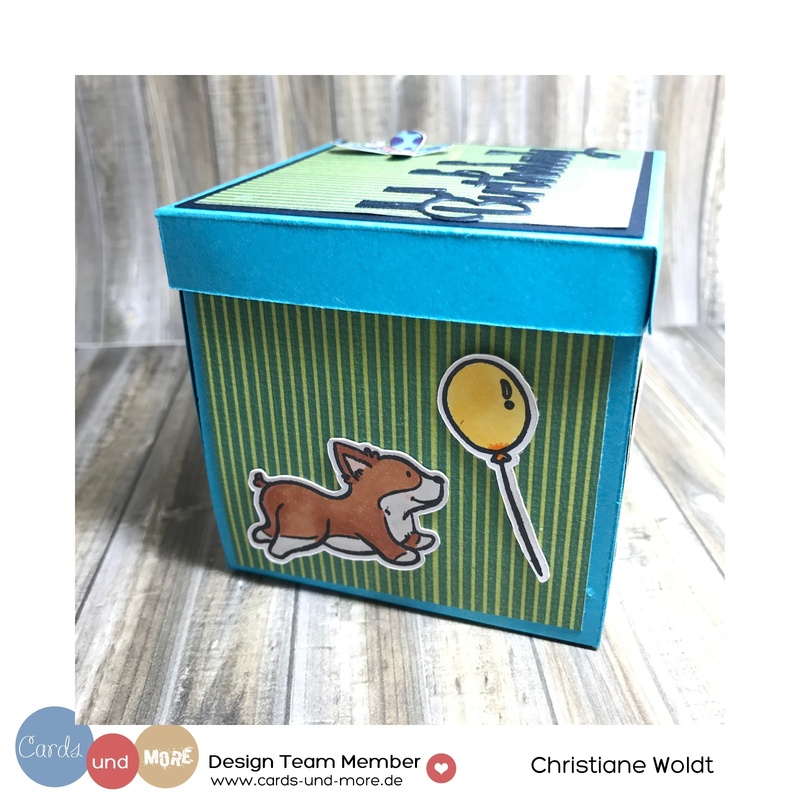 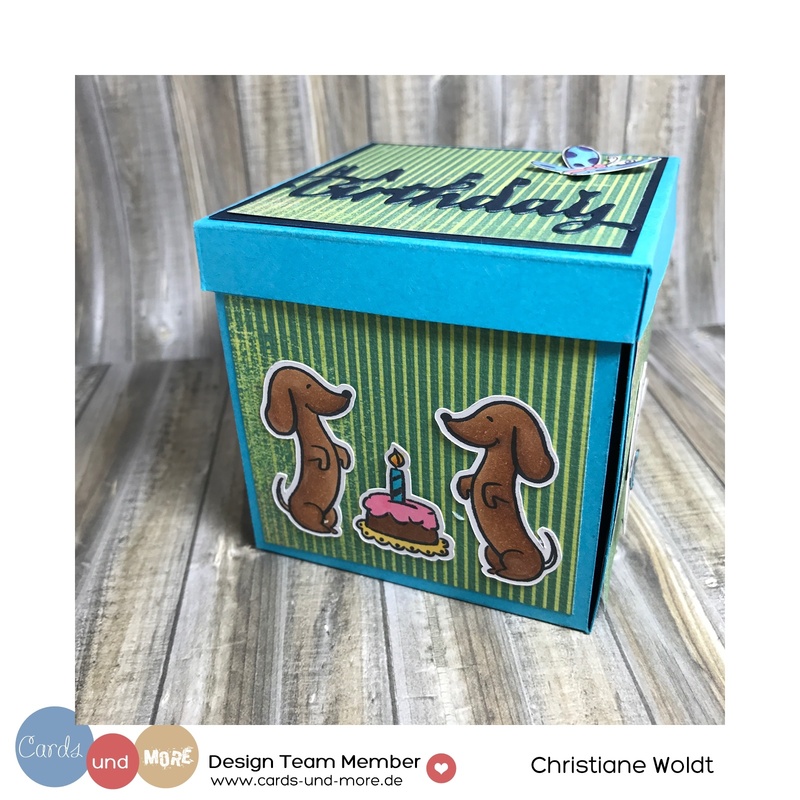 I created an explosion box for the Insta Hop using the You're Pawsome stamp set by Waffle Flower. I hope you like the box - and now rush on to take part in the Insta Hop!